We work with certified repair technicians with years of experience and thousands of devices repaired. 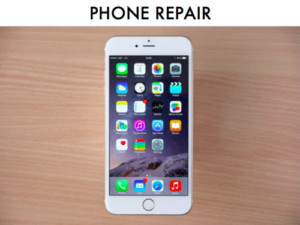 We repair phones day-in, day-out for customers at our locations. We are now offering a mail-in service for our customers that are not able to come to us. When we receive your device, we will immediately begin work on it. Most repairs take us under 30 minutes to complete. The moment your phone is done we will carefully package it in a bubble-wrap sleeve and ship the phone back to you either the same day or the next day. we have years of experience from repairing devices locally for our customers. We know that you will be very satisfied with our service and the value for the money. Once you checkout please follow the mailing instructions. We do not cover shipping to us, but we include First-Class USPS shipping back to you (2-7 days) at no additional cost. Be aware that first class is a little slower, so if you would like your phone back faster, be sure to select the Priority Mail (1-3 Business days) or Express Mail (1-2 Business days) option when checking out. Package your phone carefully. Just send the phone, no cables/accessories, original boxes, cases etc. THEY WILL NOT BE RETURNED! Wrap the phone several times in bubble wrap or some other similar material. You should backup your device before sending it. Sometimes a phone may have to be reset and you will lose your data. Be sure to remove your lock code, or send us the lock code with the phone so we can thouroughly test it before sending it back. Do not send it in “setup mode” unless you include the SIM card. If we can not test it, we will send it back to you “untested”. If there is anything wrong with the repair, you will be responsible for return shipping to US. This item is for a repair service, not an iPhone. It is only for the service mentioned, if there is something else wrong with your device, we will contact you before making any repairs. Water damaged devices will be returned. 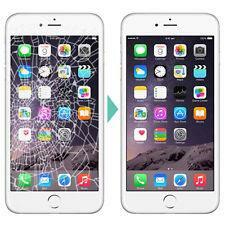 We are a full-service repair center for all Apple devices. Contact us for more information on any other repairs.